We are very excited to announce that we have received a travel fellowship from the Winston Churchill Memorial Trust. The grant will go a long way to funding our planned trip to the USA and Mexico later this year. For some time now both Jane and I have been developing a documentary film project that involves traveling to the Americas to discover how bereaved parents are finding new and (some may say) healthier ways of grieving for their son or daughter, and this news has given a huge impetus to our plans. The role of The Winston Churchill Memorial Trust is to fund British citizens who want to travel overseas and study areas of topical and personal interest. Candidates are expected to research their subject and bring back best practice for the benefit of others, their profession and community, in the UK. We are grateful and feel very honoured to have been selected from over 1200 applicants. The validation of the project by the WCMT and the influence that follows will be invaluable. 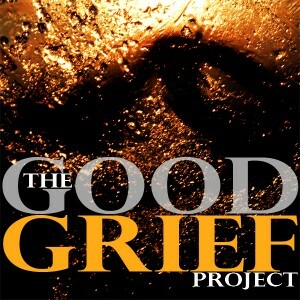 We have provisionally titled the project GOOD GRIEF and we already have a number of academics and ‘grief’ specialists lined up for interview. But it will be the personal stories of the bereaved themselves that will make the film and we can’t wait to get started on the research. Part of the condition of the award from the WCMT is that we return to the UK with a better understanding of practices abroad that can then be of benefit and disseminated to the community at home. In this respect we are proud to be supported by The Compassionate Friends, NCPC/ Dying Matters and Cruse Bereavement Care and we hope that the resulting film will be of real value for them, for similar charities and the communities they represent. The Good Grief Project will kick into action later this year when Jane and I fly to New York and drive across country to the West Coast and then fly down to Mexico. On the way we shall be visiting and filming bereaved parents, alternative grief professionals, home funeral arrangers, and academics, all with the purpose of creating a picture of what it means to grieve for a son or daughter in a society that lacks the emotional language to accept mortality as necessary component of life. 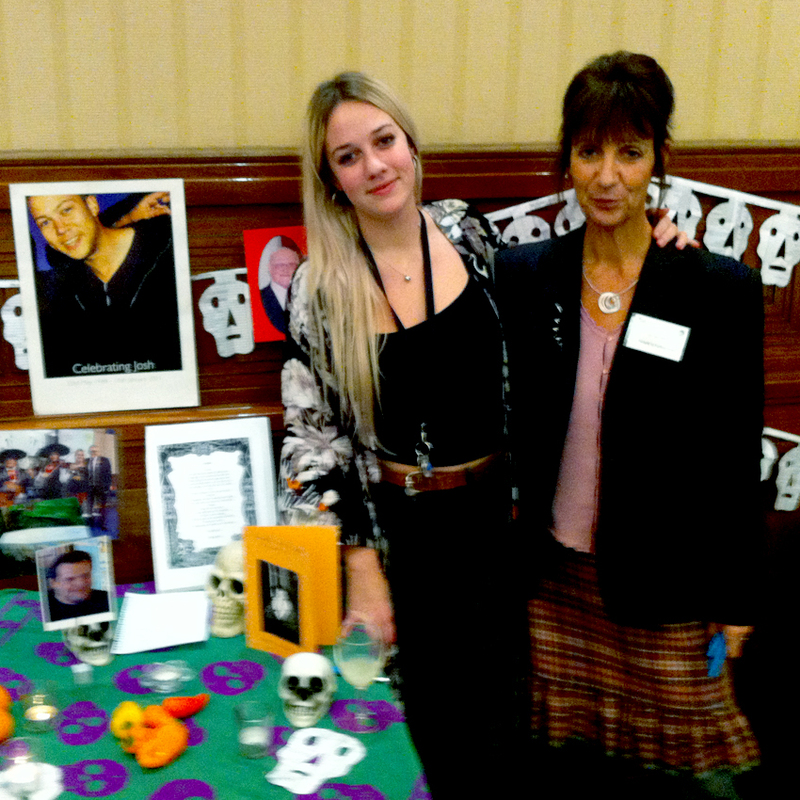 Networks for bereaved parents are more established in the States – The Compassionate Friends has over 650 chapters – and contemporary practices around death and bereavement are more nuanced with an emerging acceptance of alternative ceremonies and funeral rites. We are looking for stories in which people have found new ways of honouring their child; of conducting the funeral arrangements, for instance, outside of the conventional practice of the funeral parlour; of ways they have overcome the isolation so often felt by bereaved parents; of ways they have found to remember their child as part of an on going relationship even if this has been perceived as being slightly mad. Many of these new practices may actually be something borrowed from the past – we know that modern society has industrialised and standardised death and bereavement in ways that have sucked the soul out of our mourning and turned it into an abject, not to say morbid, episode to be hurried through as quickly as possible – yet there is a lighter side to mortality that pre dates modern fears and anxieties, and many are turning to other traditions to help them in their grief. We will conclude our journey by filming during the days leading up to and including the Mexican Day of the Dead. So what is GOOD GRIEF? Based on the ideas that flow from the concept of ‘continuing bonds’ we are keen to research the more creative ways families are choosing to work through their grief. Many bereaved parents both here and in the States (and in the western world in general) have found that it is just not possible to continue living what might be called a normal life, without maintaining a meaningful and on going relationship with their dead child. This runs contrary to previous and widely accepted notions that in order to resolve the painful emotions that accompany bereavement, we must in some way, move on, to cut off from the deceased, to ‘forget’ the importance they have in our lives, before we can heal and make new attachments. 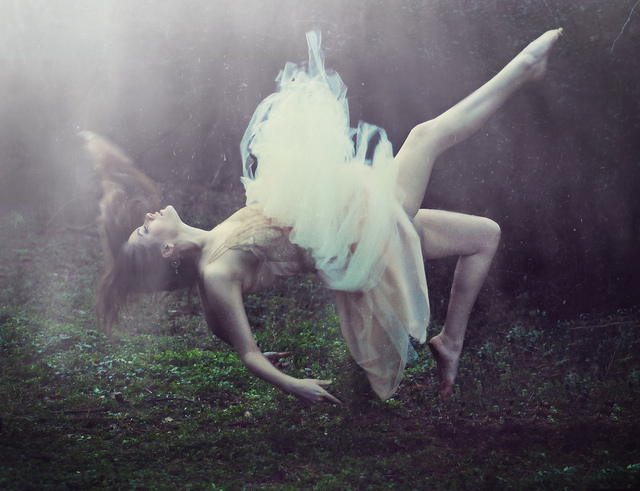 Success in this version of grief is seen as returning to the normal – to the status quo ante. Failure to resolve it was defined as a pathological clinging to the deceased. 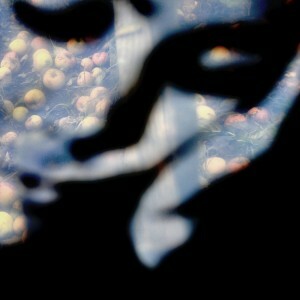 to be around) but what would be the alternative if we were to cut him and his memory out of our lives. We could do this I suppose with the help of a large dose of self medication but in order to do that we would have to cut out such a huge part of ourselves as well – the drugs and the drink would in effect be slowly reducing our own humanity. A better grief then, or a ‘good grief’ is achieved not by dismissing or rejecting the bond we have with our child but more by enhancing it – the problem is of course that this is now a one way relationship – a one way conversation that takes place in our heads and in our hearts. An imaginary conversation. Well that’s how we thought of it until coming across the idea of ‘continuing bonds’ a concept formulated by a group of American academics in the late 1990’s. 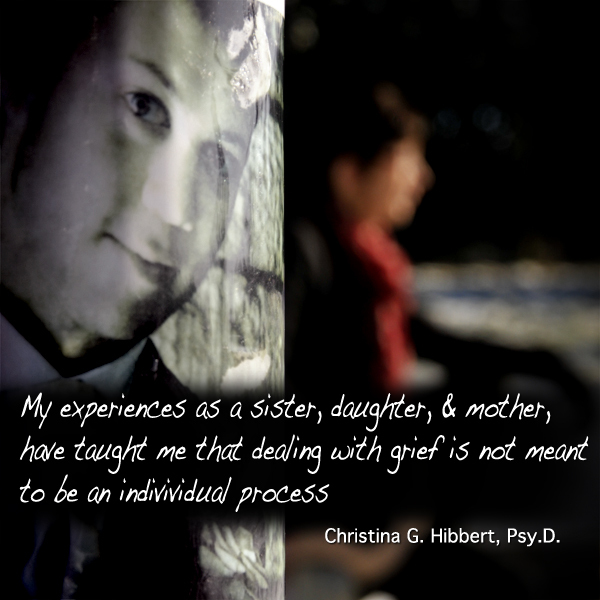 Far from being a denial of our son or daughters passing they observed that the deceased and their memory can actually provide a rich resource for the way we continue to function in our every day lives. 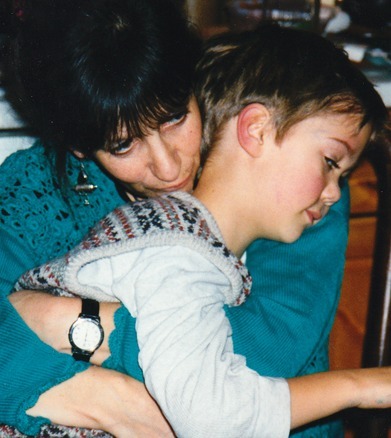 And we now realise from our own experience that what we thought of as wishful fantasies (what would Josh be doing now, how would he have reacted to this or that situation) were very real manifestations of our love and our grief. Painful though the last few years have been, we have slowly learnt how to accept these longings as integral to our present lives and may be all the stronger for it. At this moment it is too early to reveal our exact plans but our intention is to travel during September and October in the USA to arrive in Mexico for the Day of The Dead by the end of that month. While we have already made contact with a number of grief professionals, we are still looking for a range of parents to talk to. If you are reading this (we know that this website has many readers in the States) and would like to take part please do get in touch with us via the Contact Form. Or maybe you know someone who would like to tell us their story – spread the word. We are particularly interested in documenting the more creative ways people have found to continue the bond with their dead child. This maybe artistic (through music or dance, by writings or blogs, visually with paint, photography, textiles or other media etc) or it maybe more practical (a change of your work, creating a charity, making a pilgrimage) most likely it will be some way in which we never thought of – please offer up your ideas as we love to hear about them. Any filming with you would involve a couple of sit down interviews (about an hour each) and a day filming your activity. 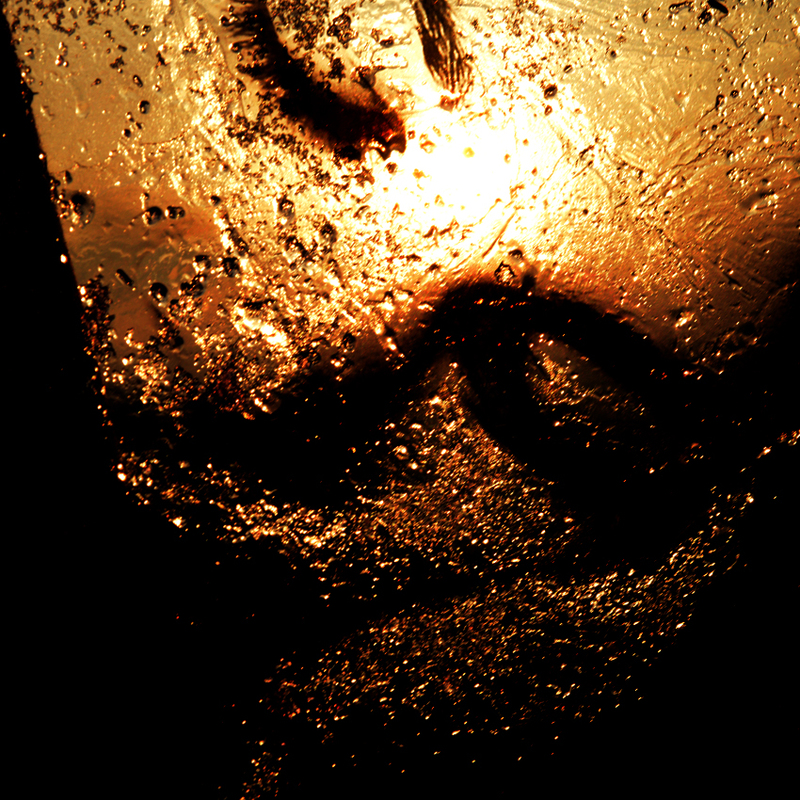 Editing and post production will happen in early 2016 with the film’s release scheduled for late spring 2016. While we are away we will be updating you regularly with a new blog (link to be announced later) and taking lots of photographs – our notes and impressions together with a selection of photos will form the basis of an exhibition and a book to accompany the film. We met at film school in 1982 and Joshua was born soon after we graduated in 1988. At this point Jane decided to train as a psychological therapist. Jimmy went on to work in TV as a documentary editor and has now cut over a 100 films for the BBC, Channel 4 and other broadcasters. When Josh died in 2011 we were already working together again on a film about Jane’s dad Gerry (now published by Alzheimers Society) and this collaboration extended as part of our grief work as much as it did with our creative endeavours. Together we have built this website and produced SAY THEIR NAME for the Compassionate Friends. Officially then, Jimmy is a BAFTA award winning documentary film editor with over 25 years of experience. He also produced and directed ‘BREAKING THE SILENCE’ for BBC 1, a 45 minute documentary about the effects of years of abuse at boarding school and his local church. He is also a passionate photographer. Jane is a Senior Accredited Individual and Couples Therapist and Supervisor with The British Association of Counselling and Psychotherapy. She has a thriving private therapy practice and works as a staff and student counsellor in a University setting. Both our disciplines involve a natural curiosity about the human condition and together we have found that our talents as filmmaker and therapist make for an excellent combination when it comes to telling the stories that emerge. Jane is a Trustee for The Compassionate Friends and a member of National Council for Palliative Care People in Partnership Group as well as a Dying Matters Bereavement Champion. 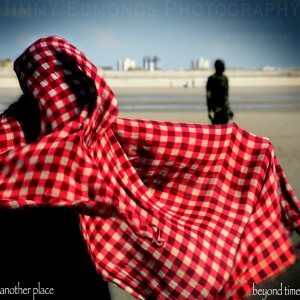 Jimmy is a support contact for TCF. 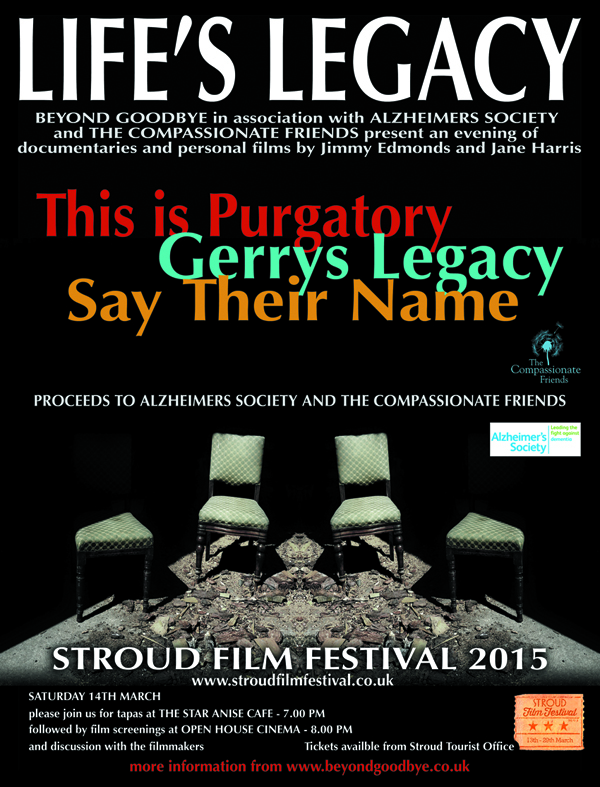 We have three films showing at the first ever Stroud Film Festival. As you may know our home town of Stroud in Gloucestershire, is known for its slightly quirky and alternative arts culture and hosts a number of festivals throughout the year, many of international repute. So we have festivals for music, the visual arts, textiles, print makers, photography and now a cinematic treat. Among the films on offer during the two week festival will be Vim Wenders 3D masterpiece about the choreographer, Pina Bausch simply titled ‘PINA’ , Nick Cave in ‘20,000 Days on Earth’ and Kiley Kraskouskas’ unforgetable ‘The Last Song Before the War’ – the story of Mali’s annual music Festival in the Desert which came to a halt in 2012 when separatist rebels and Islamic militants seized control of the north of the country. open discussion on the themes they raise – life, love, loss (and laughter). 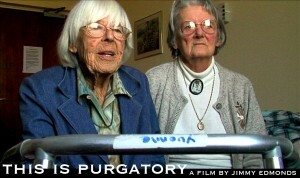 Following on from Josh’s death and our attempts to come to terms with his absence, we are really presenting these films as a reflection of our own engagement with ideas about end of life care, the role that our mortality plays in our society, and the fears associated with death and bereavement. In that sense, they are all very personal films but films that we hope have a wider resonance for anyone who has been bereaved or is caring for an elderly relative. But more than that, they are part of a growing conversation about death and dying that doesn’t have to be morbid or depressing. 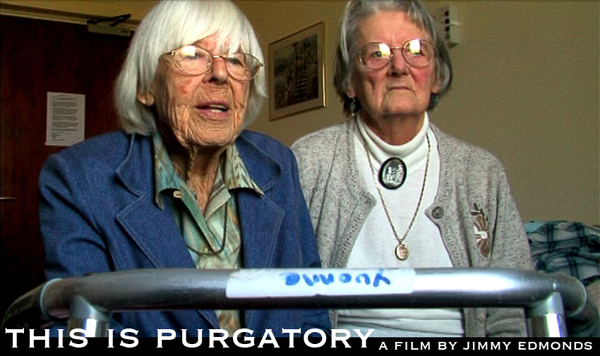 This is Purgatory (or what do you think happens when you die?) 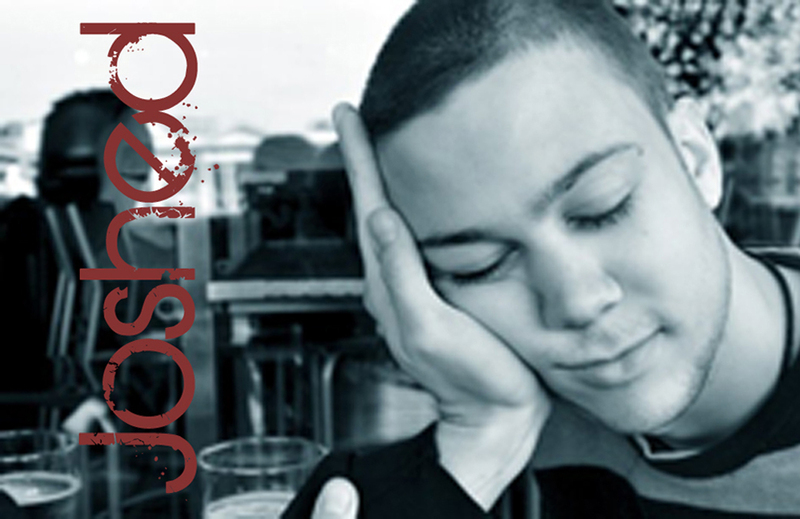 (2009 – 30 mins) was made by Jimmy as part of the Random Stroud project, a year and a half before Josh died. It’s a light hearted take on the life hereafter made at a time when we had little idea of what that might mean for us in a world we would inhabit as bereaved parents. 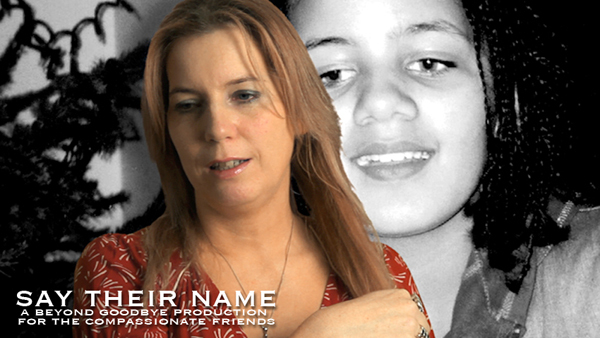 Say Their Name (2013 – 17 mins) is the only film available in the UK made by and for bereaved parents. Soon after Josh died, we were approached by the bereavement charity The Compassionate Friends to make a film which would give comfort to the newly bereaved and understanding to their friends and family. This is the result. 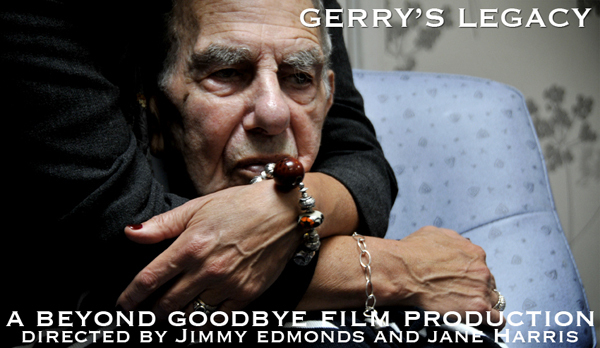 Gerry’s Legacy (2015 – 45 mins) Six years in the making this is the story of Jane’s attempts to help her father who at the age of 93 was diagnosed with vascular dementia and spent the reminder of his life in what was signposted as a specialist dementia unit but was in reality a locked psychiatric ward. With over 100 hours of footage, the film project originally had the working title of The Waiting Room but was eventually produced for Alzheimers Society as a series of training modules to encourage a more person centered care. We have now shaped it into an intimate yet powerful observation of some of the fears and anxieties as well as the hopes provoked by dementia both for the person and for the family. A short film here about our visit to Vietnam to pay homage to the site where Josh died – on the Ho Chi Minh Highway in the province of Vu Quang which is about a days journey south of Hanoi. We visited Saigon and Hoi An where we set candles in the river for Josh’s birthday which also coincided with the full moon festival, before taking the train to Vinh where we were picked up by Uoc who took us to Vu Quang. 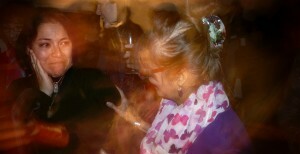 Uoc is the school teacher who was asked by the police to help translate for Josh’s friends at the time of the accident. He explained to us what happened and introduced us to the policeman who attended the scene and to other witnesses. Uoc often travels more than 20 miles to the site to pay his respects to Josh leaving a packet of biscuits or cakes and lighting incense. One of the things about our life after Josh died, is that things take a much longer time to accomplish. It wasn’t until two years after his accident that we as a family had the strength to go back to Vietnam in 2013. This footage has been sitting on my computer for almost another two years before I have had the will to shape it into a film. Now it’s done I hope you can enjoy it. The following is our report on a photography workshop Jane and I ran at the TCF National Gathering earlier this year – apologies if this appears a little late but life work and other things do tend sometimes to take over from our tasks of keeping you informed of all the things that have happened since Josh died. In any case time for us doesn’t really feel like a series of moments that gradually disappear into the ether, or off the bottom of a blogroll, so we hope that this account will be as relevant to you in a years time as it does now. Saturday 11th October 2014 … it’s the annual Gathering of The Compassionate Friends and Jane and I have an opportunity to share our joint skills in photography and therapy. We are running a photography workshop for bereaved parents and siblings – EXPLORING GRIEF WITH PHOTOGRAPHY. 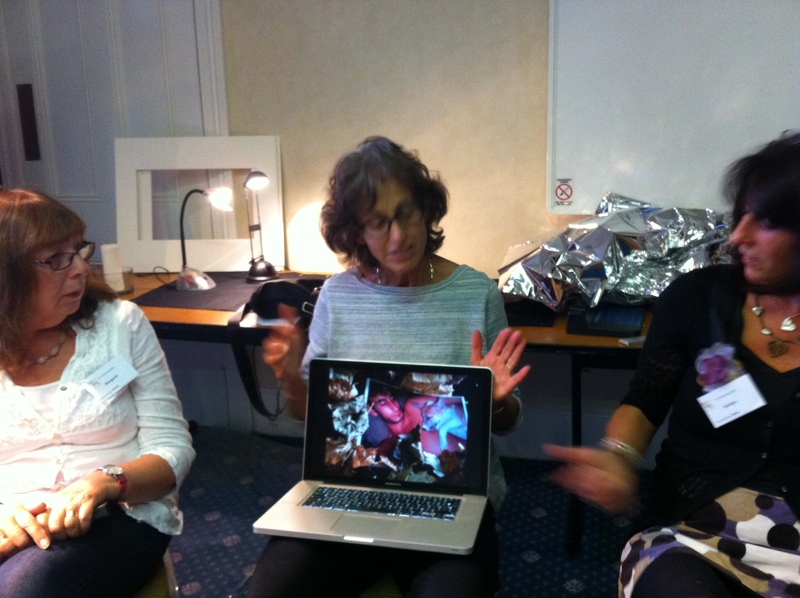 Our two disciplines seem to gell together seemlessly and the first part of the course is going well – the participants have split into groups and and are sharing the photos they have brought along. 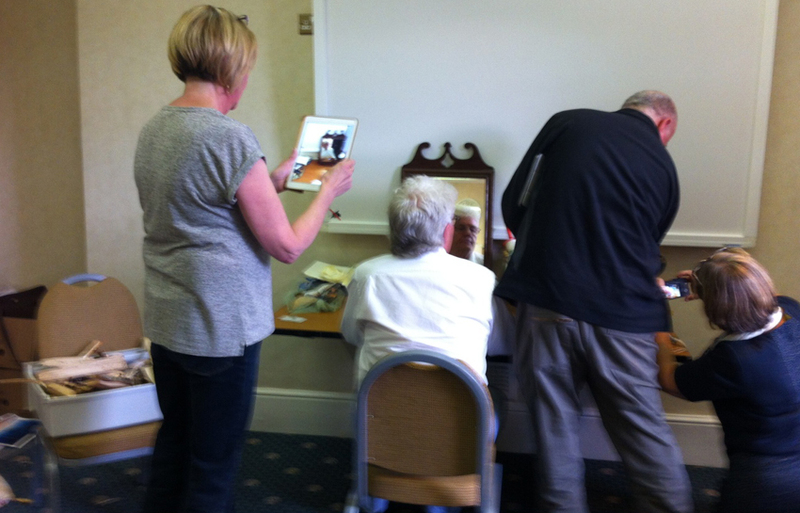 We have a good turnout – two 90 minute sessions both completely full – most with very little practical experience of making photographs but all with a huge amount of stories and memories to share. The room is buzzing with emotion. 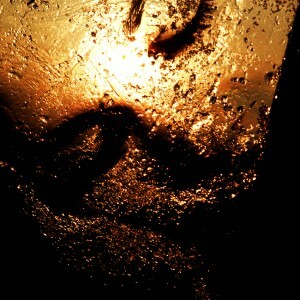 Both therapy and photography are ways in which to seek beyond the surface layers and discover hidden emotions. And while photography can have a more tangible result they are both very much processes in which everyday realities can be tested and revealed anew. At least this was the approach we hoped to explore in the new photography course we have devised and for which this is its first outing. The Compassionate Friends is a charity we have now become quite closely involved in and attached to. TCF is important to us, not just because of the video we produced for them (SAY THEIR NAME) but because it truly is a peer to peer network run by and for bereaved parents. Not only do we share our grief (it makes life so much easier when we do) we can also share our skills and for us this represented a very special opportunity to contribute something of our own to a community that had, I suspect, not given much thought to the potential of photography as a therapeutic tool, especially for the bereaved. 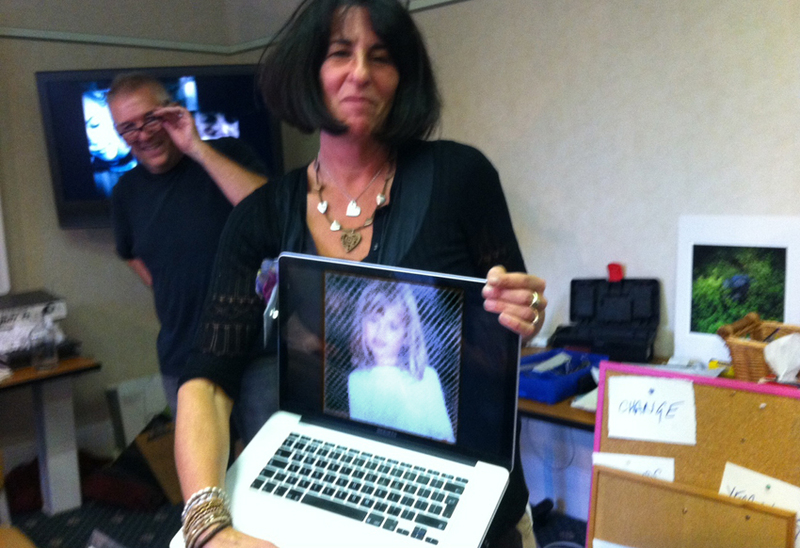 So how do we and how can we use photographs to help us as we grieve? Both the photos that we already have of our child and the ones we intend still to take. We asked everyone who signed up to the sessions to bring along at least three photos of their child, pictures that have a particular resonance or evoke a special memory. Further into the session we will be asking them to choose just the one picture in order to ‘reframe’ it in a way that will bring it more into the present. Our purpose here is to experiment with ways in which we can keeping an on going relationship with our child by employing one of memory’s most valuable assistants – the photographic image. In preparing the course, I began by looking for some good examples of what others had done in this area. As Josh’s sister Rosa has pointed out in her article (Making it Real – Death and Photography) every photo we take will outlive its subject and as such has enormous potential to transcend that final moment between life and death, a fact well recognised by artists and photographers ever since the medium was discovered 200 years ago. But by googling a combinations of various words; GRIEF, PHOTOGRAPHY, DEATH, BEREAVEMENT etc, I found little that spoke to my own experience of life since Josh died. Beautiful photographs as they are, mostly they seem to fall into high art or reportage, neither of which seem to be of much use to anyone looking to express their own very personal feelings in the days months and years following the death of a child. 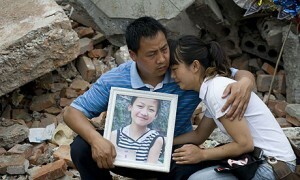 Typical would be this photo of grieving parents following an earthquake in China. Although as a press photo it has the potential for a sort of anonymous association for the viewer (we can feel their pain) it does little, I suspect, to help the mum and dad who have just lost their daughter. Why? Well I think its because they haven’t been involved in the real work of taking the photograph. Did they know the photograph was being taken or did they pose suitably grief stricken in the rubble, their daughters image conveniently arranged so that the world can see her in full view. Whichever, this is an image of tragedy for public consumption and feeds a very common place idea of what grief should look like but, buried as it is in the historicity of the moment it can never convey what grief really feels like as one of life’s longest lasting experiences. A little closer to home (in the sense of a personalised photography) I found this remarkable website NILMDTS – Now I Lay Me Down to Sleep – a sort of photo agency that will record for you a moment with your child who has died at birth. 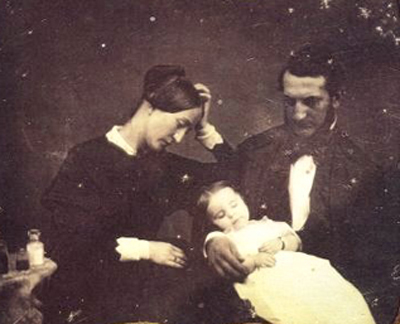 This is a free professional service and is in the tradition of post-mortem very popular in the States at the end of the 19th century, a time when child death in the family was commonplace, though we can assume no less traumatising..
Now as then these photographs carry a huge emotional charge both for the bereaved families and for us strangers looking on. Unlike a press photograph and in common with all portraits they have demanded the active participation of the sitters. 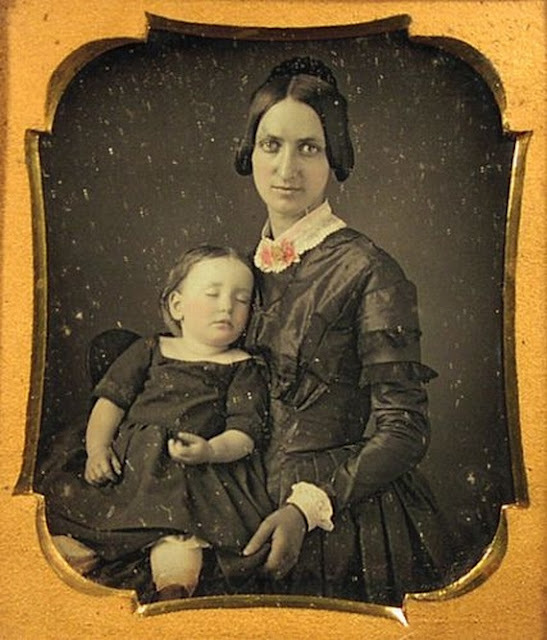 Mother has taken her dead baby in her arms and posed specifically for the camera. She is performing a drama with the shortest of stories but one which will have lasting impact and as such has the potential for huge therapeutic effect. The moment is both real physically and emotionally and she is in effect taking the first step in a life’s work of continuing her bond with her child. This is a lasting image that has captured a hugely significant moment and one in which she can return to time and again as she remembers and try to construct what (or who) might have been. But again, as artefact, these post-mortem pictures are and can only be, locked into the past, even while they generate very current as well as very healing memories and emotions. It was with these thoughts in mind, that we began our workshops with an invitation to explore ways in which we can use photography to generate a continually evolving set of stories and impressions following the death our child. We had each of us brought favorite photos and were now explaining the stories behind them and the memories they evoked. In the small groups we had formed words spilled out and across the room in a veritable hubbub, a cacophony even of voices all (and I think this is the really interesting bit) trying to describe their feelings, all trying to convey their emotions. But at the same time the mere act of vocalising our thoughts, of telling the narrative seem to get in the way of really connecting with these photos and the child within. In a sense words were failing us. At this point then we asked people to remain in groups but to sit quietly and merely observe their images, together and in silence. In the hush that followed Jane used her ‘mindfulness’ techniques, encouraging us to stay in the moment however difficult the feelings, to try and lose a sense of time and to find a connection with our child that is now and something more than just memory. It was extraordinary, as the words disappeared and the emotions took over, hands felt for another to hold, an arm went around another’s shoulder, tears began to form and frankly, I was stunned. Photographs of course are always memories – they are always of the past; of something that has already happened. You cannot take a photo of the future. But while they are always of the past, they are also always in the present. And like memory their meaning or the meaning they have for us, can evolve with time, sometimes radically and overnight. We recognised this in the photos we had brought of our children … innocent snapshots that have now become overloaded with longing and painful fantasies of what might have been. In my book RELEASED I wrote about how an image of Josh taken as part of a series of portraits of people with their eyes closed, had now attained a kind of iconic status in the way in which we remember him – and the way in which we ‘reinvent’ him in a continually shifting process of trying to find meaning in our lives and in his death. Personally, I have found much comfort in being able to re-photograph Josh’s image – it has taken me from the raw pain of remembering too much to a newer sense of a continued relationship with him. No longer here and forever dead, Josh still remains a huge presence in my creative endeavour and very much part of my life. 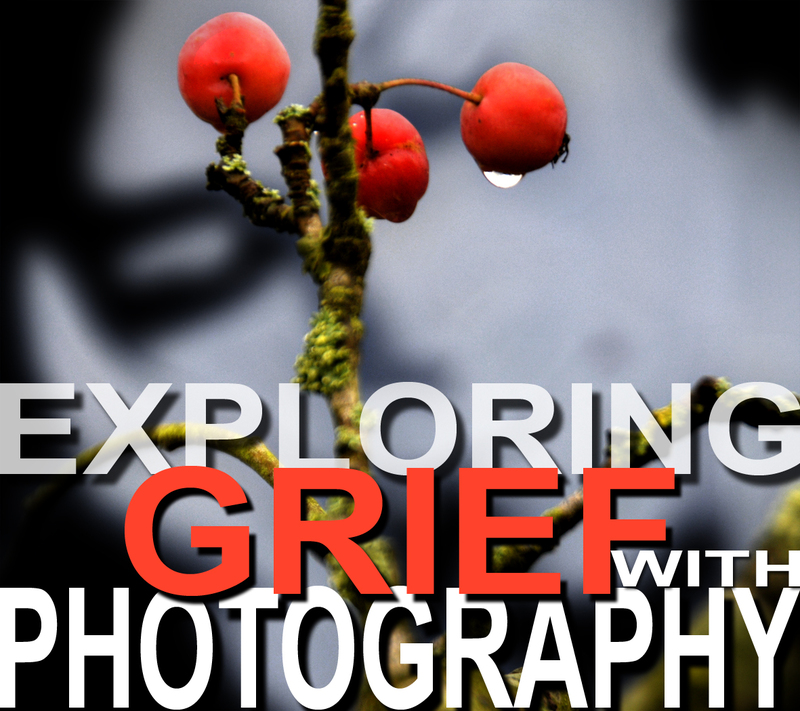 So there are two aspects to this business of exploring grief with photography. There are the photos we already have of our child who is now dead. Photos that were taken in all innocence of what the future might bring, now portals to our memories holding us close to a life that once was, both ours and theirs. And there the images that we can now make – post tragedy – of the lives we now inhabit, both ours and theirs (do they not live on within us?). For the second part of our workshop people divided into pairs and together attempted to create a photograph that reflected some of these concerns. In a way what we were trying to do is to weld together the past and the present – the past with all its longings and the present full of our current desires – and in so doing rebuild our sense of a future. As all bereaved parents will know, when your child dies, you are immediately thrown into a world in which the future has very little meaning. But in this act of re photographing our child’s image we began to see some real therapeutic possibilities in the way we can continue our relationship with her/him with less pain. With the photographs we now made we could forgo the ‘what if’s’ in favour of the ‘might be’s’. We might even imagine a time when we can look upon their face and smile again and know there are more photos to come many of which we haven’t even dreamed about – yet. 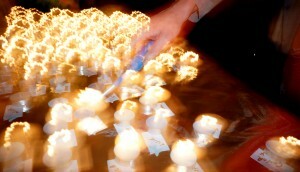 24 people attended our workshops and you can see some of the resulting photographs by clicking on the image below. 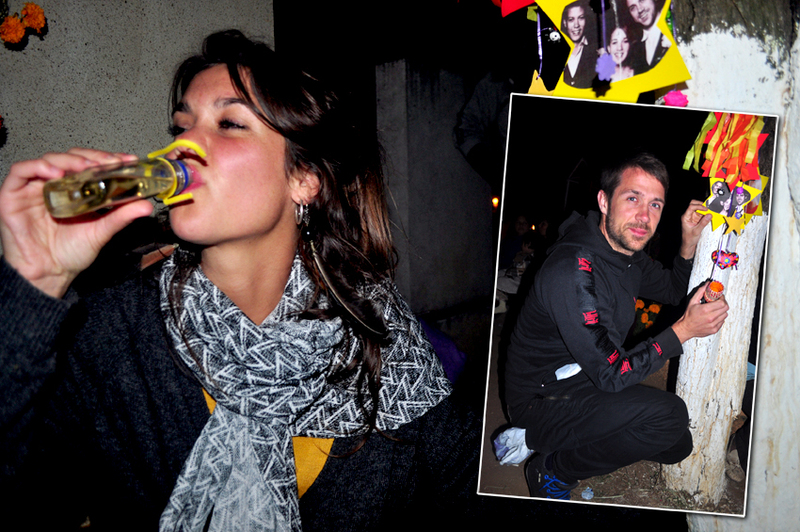 Some of the photos remain private so we are only publishing those for which we have permission. Jane and I feel very encouraged by this and will be offering a more developed version of EXPLORING GRIEF WITH PHOTOGRAPHY in the future. In the TCF workshops we were concentrating on re-photographing an already existing image but there so many more ways of photographing our grief. We also realise that for some the image of their child still holds too many painful reminders or that they might want to focus on a more abstract sense of their grief. Grief afterall is such a complex range of emotions that finding words to describe them often seems to result in cliche or just very ordinary and nothing like what we are truly experiencing. 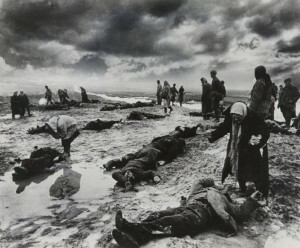 And this is where making new photographs can help to play a part. We can learn to express our thoughts and feelings in a language that is not so literally tied-bound. By finding the visual metaphors that are in a way unique to us and that express our grief, ours and ours alone, we can interpret our feelings and our experiences in our own way. In a way this is our route to honesty, something others are bound to recognise. We may also find that despite the very solidity of a photograph (this did actually happen – this person did actually exist) the language of photography is very fluid, that photos in themselves hold no particular meaning outside of the way they are viewed. But isn’t that a bit like grief anyway – a constant slipping and sliding of feelings and emotions around a central fact – our child has died. 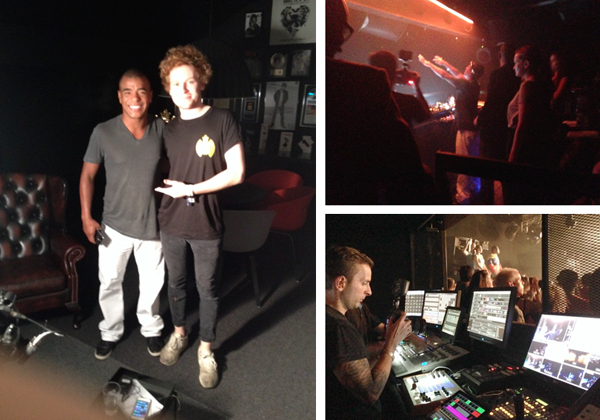 For five weeks this Summer I became an intern at one of the world’s leading dance music brands, Ministry of Sound. 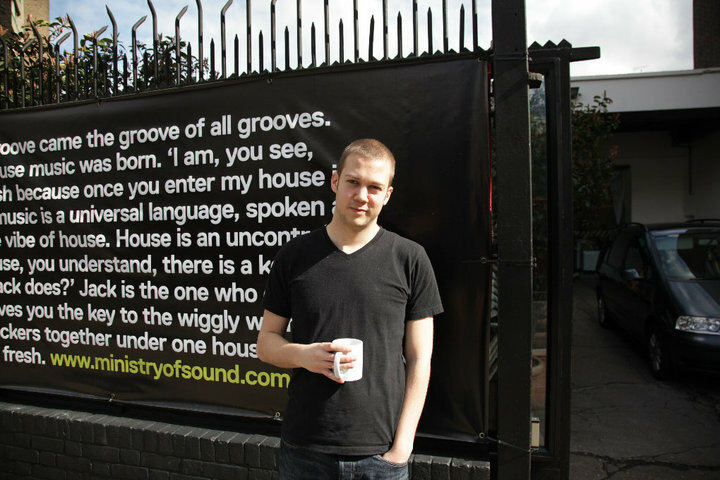 I moved away from home for the first time, lived in London, worked in a huge office, filmed inside the 12th best club in the world, interviewed superstar DJs, made ten videos for Ministry of Sound’s website, Facebook, YouTube and Instagram, heard my own music played through the best sound-system there is and sat in board room meetings planning the next big dance hit. This is all because of the Josh Edmonds Memorial Scheme. I was lucky enough to be chosen as candidate two of this brilliant scheme and I’m pleased to say that I experienced things beyond my (very high!) expectations. Both personally and professionally I made huge steps forward thanks to Jimmy and Jane’s initiative. As a young person it’s hard enough deciding what to do, let alone doing it but we all need an open door or a little leg up sometimes and I’m sure Josh would’ve been proud of his parents creating this opportunity in such a competitive industry. If there was ever an example of creating a positive out of a negative, this is it. 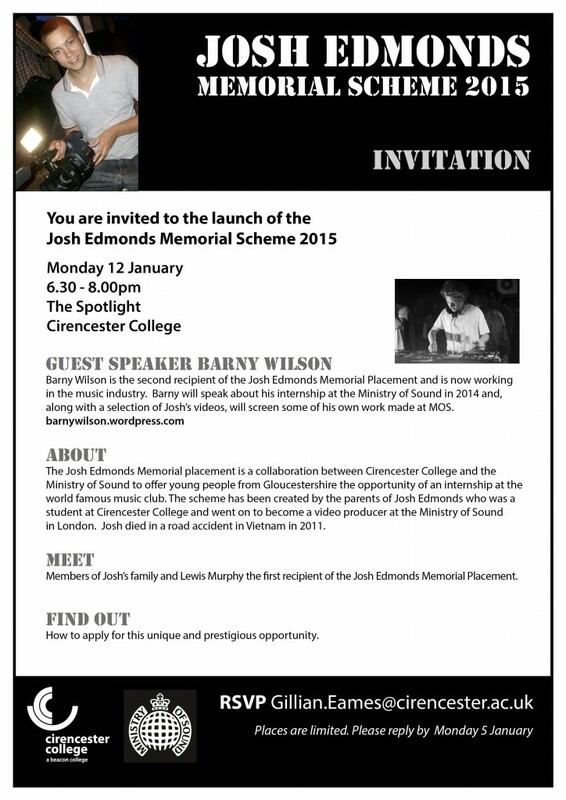 Barney will be guest speaker at the launch at Cirencester College where he will be showing some of the videos he made during his time at MoS. 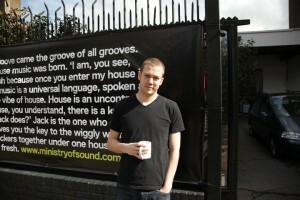 This will also be an opportunity to see some of Josh’s work too. Quite a night! 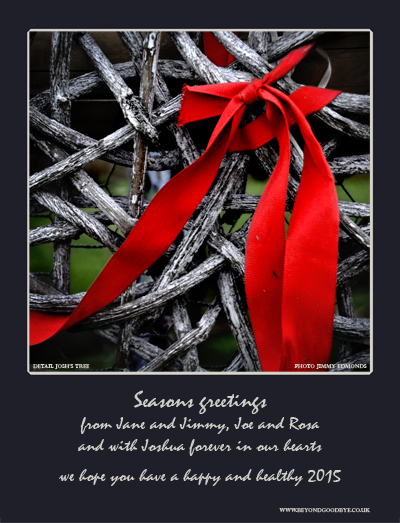 Christmas is coming and we’d like to extend our warmest seasonal greetings to one and all …. Along with many families who will have an empty space at their festive table, we will be setting a place for Josh, lighting a candle for him, drinking a toast and remembering happier times. Our last Christmas with Josh was in 2009 – we spent the season in New York – a great holiday with much to discover. 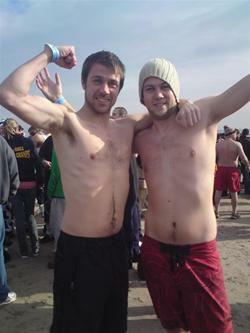 Josh, with a free pass from his work at the Ministry of Sound had got access to a club for New Years Eve and the following day with his brother Joe, took a dip into the just above freezing Atlantic as part of the Coney Island New Years Day Swim. And he will never be forgiven for the stress caused when he wandered off in search of a sandwich just as we were about to board the plane back home – with the rest of us left stranded at the gate he eventually strolled up munching nonchalantly with just seconds to go before it closed. Memories that last the longest are probably those with the strongest emotional charge, even if they are tinged with certain frustration at a teenagers self absorption. A frustration now of course loaded with regret that there are now no more new Josh stories to be told. For us Christmas is less, far less about any religious observance, more about an opportunity for the family to come together, all under one roof and to assert of love for one another – to celebrate and to strengthen our bond with one another. That we do this simultaneously with families up and down the country is also important, cementing us within a cultural framework and providing an emotional security as part of our ‘belonging’. So, as for many bereaved families, Josh’s forever absence is particularly painful, especially if that sense of belonging is disrupted not just by the trauma of death but by the isolation we often feel from a society that finds death or deathly memories a tad annoying when everyone is just trying to get on and enjoy themselves. Christmas cards are probably one of our biggest bones of contention. 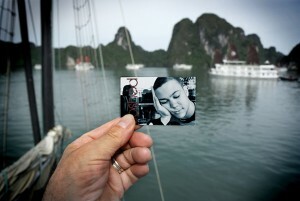 We struggle with the cards who edit Josh out especially from those who knew him. What we say now is please do not be scared that you might make us upset. Every parent who has lost a child will be thinking about them and longing for them at Christmas and we are desperate that they should be acknowledged. There is a saying; “Your words may bring tears to our eyes but they are music to our ears.” And as the title of The Compassionate Friends’ short film emphasizes it is important to SAY THEIR NAME. 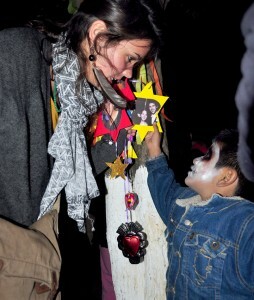 We experienced Dias de Muertos here in Mexico in Oaxaca City. 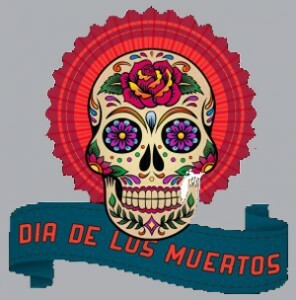 Each year Mexicans celebrate the dead leading up to 2nd November (Dias de Muertos) by creating colourful altars for their loved ones that have passed, dressing up in death related costumes and face paints, drinking and eating and holding street parties. 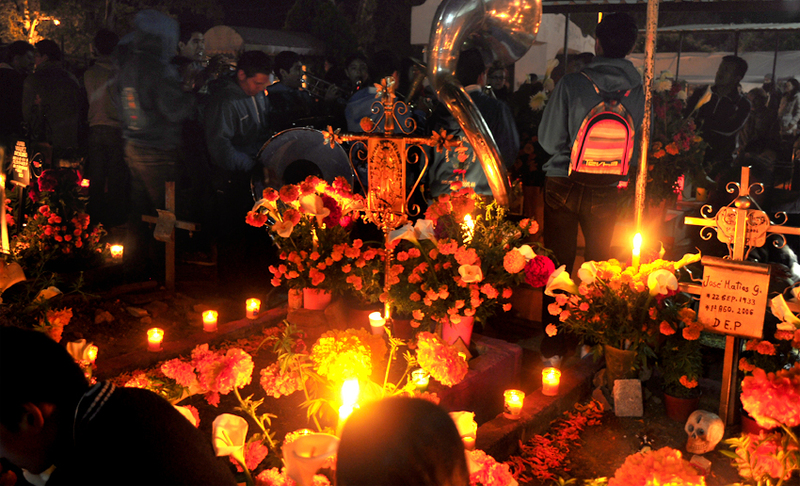 Within Mexican tradition, the 2nd of November is kept for the dead to return to this world and share in the offerings given to them. Having lost a brother and a best friend, Hollie and I wanted to honour our Josh this past weekend and ensure that his presence and soul was celebrated. We created a colourful mobile made of traditional Mexican tin, that carried pictures of Josh on star shaped card and little skeleton figurines and a sacred tin shaped heart. 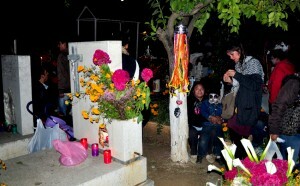 We visited a candle lit vigil for the dead in a cemetery just outside of Oaxaca Centro. The scene was magical. Night had fallen but the cemetery was lit up with candles, bright marigold flowers and the sound of music from people playing instruments and singing beside the graves of their lost ones. We found a suitable tree that Josh could now call his own and hung his mobile to a branch. We scattered Josh’s ashes at the base of the tree and shared a small bottle of tequilla with Josh whilst sitting with him. Although in the UK, it is not un-common to see relatives and friends visit a cemetery and to hold time with a lost loved one, this experience felt very different. A more shared experience and less private, where visitors walked in between the dead and were invited to learn more about them. The dead felt more alive due to the decoration of their graves and how families were sitting, eating, drinking or even singing or having a smoke with them. We shared our love of Joshua with a mother and a wonderful young child who became instantly interested in Joshua’s memorial mobile. He asked questions about who Joshua was to us and it was nice for us to introduce him to Joshua. He was so taken with the mobile that Hollie simply had to give him the sacred tin heart for keeps! He was chuffed to bits. 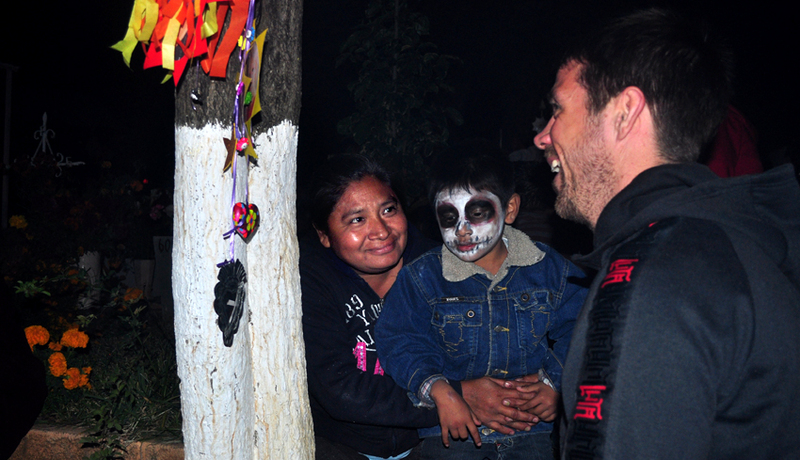 Here in Mexico, people’s relationship with death seems very honest and open. The dead are not forgotten. They are celebrated and seen as still part of this world. Josh’s mobile still hangs in the cemetery and now he has two trees in this world he can call his own. 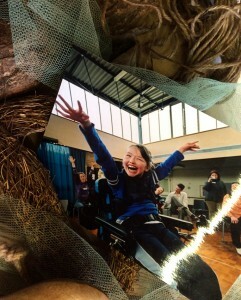 Big thanks go to our friends at the JESSICA MATHERS TRUST who organised this years annual worldwide candle lighting event at their headquarters in Deptford, South London. 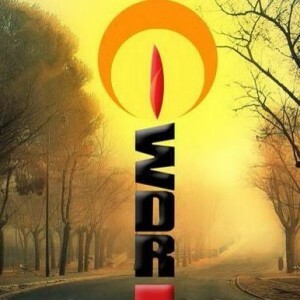 Now believed to be the largest mass candle lighting on the globe, this was the 18th year in which a virtual 24-hour wave of light moved from time zone to time zone. Started, in the United States by THE COMPASSIONATE FRIENDS in 1997 as a small internet observance, it has since swelled in numbers as word has spread throughout the world . 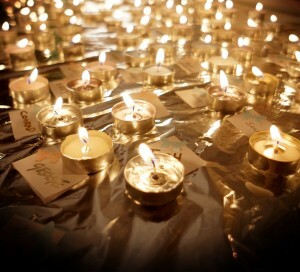 On the second Sunday of November, hundreds of formal and informal candle lighting events are held in homes, churches, community centres and all sorts of meeting places as families and friends gather in quiet remembrance of children who have died, but will never be forgotten. At 7.00 pm local time parents and siblings gather to light a candle to commemorate their dead son or daughter, brother or sister thus creating this huge wave of light that travels round the world. Jane and I, along with Josh’s brother Joe and sister Rosa joined 50 or so others in an evening of remembering and honouring. 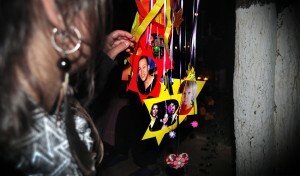 Like many communities that part of society known as BP’s (bereaved parents) is held together mainly via social networks. AWe use the internet as a more or less safe place to talk about our feelings, both about the child we have lost and about the place we are in now – our grief sometimes feels like a burden, one that is hard to share with those who are so bereaved. Candle lighting events such as these are as much about celebrating our children as it is about meeting others in a similar situation. Often, while we have formed tenuous virtual relationships this is the first time we will have met in the flesh. If it is important to continue the bond with have with our dead child, its the relationships we have with others (both bereaved and not) which are the fertile ground in which that bond can grow. Almost half of Britons (47%) say they would feel uncomfortable talking to someone who has been recently bereaved, and many bereaved people have experienced negative reactions to their grief, including people avoiding them and the loss of friendships, according to a new study released by the Dying Matters Coalition. This is a finding of a special report commissioned by Dying Matters to coincide with the launch of a new campaign designed to support people with what to say and do after a friend or family member has been bereaved. The BEING THERE initiative comes at a particularly poignant time for many bereaved families – this is the lead up to Christmas, a time when, as in our case, the absence of a loved one is more keenly felt. BEING THERE is addressed to people who like many of our friends have naturally moved on their lives and away from the intense pain that we feel. This is normal but it is also very hurtful – the affect upon the bereaved is to suffer not just one loss but many … with death being such a taboo subject in our culture, grief too becomes a feared emotion and all too often our friends and family shy away from a state of mind they see as uncomfortable, disruptive and avoidable. Dying Matters is a coalition of a number of organisations from across the country set up to promote public awareness of dying, death and bereavement. The Coalition’s Mission is to help people talk more openly about dying, death and bereavement, and to make plans for the end of life. This, they say, will involve a fundamental change in society in which dying, death and bereavement will be seen and accepted as the natural part of everybody’s life cycle. 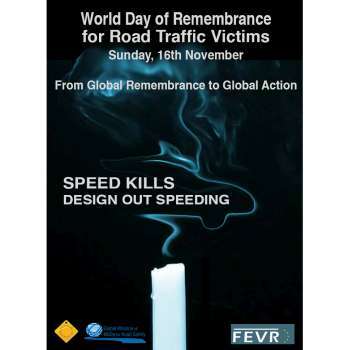 Today is World Remembrance Day for Road Traffic Victims which has particular significance for us (Josh died in an RTA in Vietnam) and for many who read these pages. 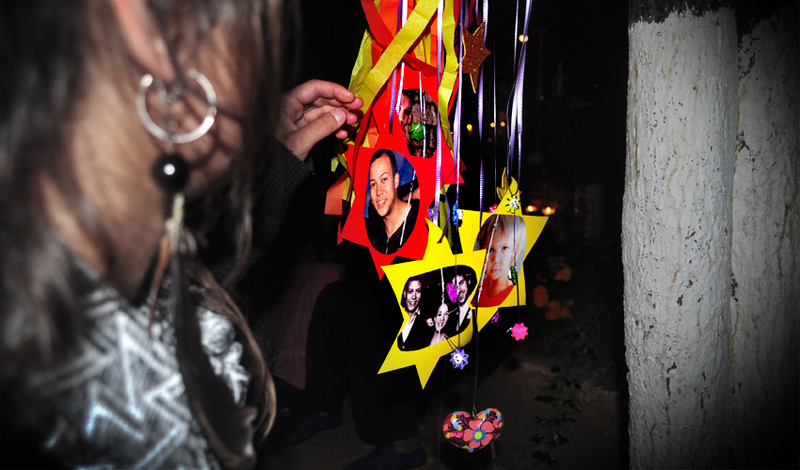 We’d therefore also like to remember our friends whose children have died in road accident, especially Bruno, Max and Conrad who died in Thailand in 2011, and Jessica who died while crossing the road in SE London in 2007. 1 in 75 of us is bereaved through a road crash.